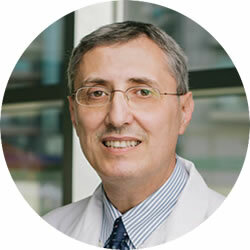 Dr Tarabichi is the cofounder of the TSESI: Tarabichi Stammberger Ear and Sinus Institute which is focused on research and education to advance the art and science of endoscopic ear and sinus surgery. Dr Tarabichi is a pioneer in endoscopic ear surgery and has published and lectured extensively on the subject. He also maintains an active interest in issues of hearing health in emerging countries and issues of access to hearing devices for the poor across the globe. He chaired the 1st and 2nd world congress on CI in emerging countries and sits on the steering committee for GCIAN: Global CI Access Network: www.ciforall.com. Dr Tarabichi sits on the editorial board of multiple peer reviewed journals in Otolaryngology.